"Gialos beach apartments" is a real paradise on the beach. Ideal place for family vacations and for relaxing. Apartments with 2 bedrooms,sitting room,kitchen fully equipped, bathroom, air-conditioned, TV, Satellite TV. 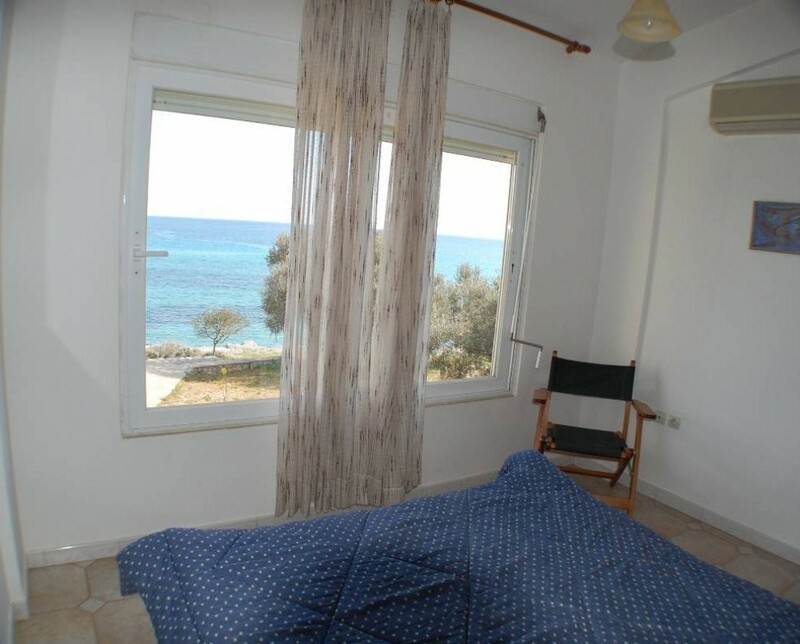 The one bedroom has a double bed and a spacious window with beautiful sea view and the other 2 single beds.The living room is very sunny and the balcony is perfect for reading and relaxing with a cup of coffee or tea. Also there are private beach with sunbeds, pool, basketball court, table of ping-pong, volley, large garden, private parking, snacks bar.